With the London Olympic Games already under way, Flight From Berlin by David John is a novel that can demonstrate the political turmoil beneath even the most beloved sporting event across the globe. It is set during the 1936 Olympic games in Germany just as Adolf Hitler is gaining more power, and British journalist Richard Denham is fully aware of the brutality the Nazis hope to hide behind the spectacle of the games. Mrs. Eleanor Emerson is an Olympic hopeful whose father, a senator, is very much against the United States’ participation in the games and who eventually gets kicked off the team when her rebellious behavior aboard ship gets her into all kinds of trouble with her father’s nemesis. Fate conspires to bring these two together as Emerson is offered a job as a reporter for William Randolph Hearst’s media empire given her connections with the team. Embroiled unwittingly in a cloak-and-dagger search for a secret that could stop the rise of Hitler, Emerson and Denham run through the Berlin streets, attend society parties, and hide in back alleys as they seek to interview the only Jewish athlete on the German Olympic team. The rebellious streak of Emerson draws Denham to her, but she’s intrigued by his passion to uncover the truth even without considering the consequences. John’s prose is quick paced and appropriate for the old world espionage feel of the novel, and the relationship between Denham and Emerson is one of convenience and mutual respect. However, the fast-paced nature of the story often takes over too much in that the relationship between Denham and Emerson is not fully realized and when declarations of love occur, it seems to be too soon. While John does use the cliched oops moment of overhearing a conversation in the garden, the story is intriguing enough to keep the reader’s attention. Meanwhile, the chapters on the Hindenburg are very well done and demonstrate the awe people at that time would have felt at seeing such ingenuity. “It was like a film set built from an Erector set. A gargantuan spider’s web of bracing wires and girders radiated out from the central axis, and looking along the corridor’s length was like seeing infinity reflected between two mirrors. The air was much colder. Flight From Berlin by David John provides the right mix of thrill and historical elements to anchor readers into the time between WWI and WWII when Germany was hosting the Olympic games and Hitler was hovering the line between diplomatic peace and alienating the entire world. Denham, a former WWI soldier, is forced to recall his training and the tragic things he saw during the war, but it also enables him to remain sympathetic to the Jews and others he meets while working in Berlin on his journalistic stories. Emerson is a socialite who is used to getting her way either through charm or her father’s connections, but she has to learn to be more observant of the world around her and that she has her own strength to get her through. Another gem in the novel is the notes in the back about what characters were real and which were fictionalized. DAVID JOHN was born in Wales. He trained as a lawyer but made his career in publishing, editing popular books on history and science. In 2009 he moved to Germany to write Flight from Berlin. He lives in Seoul, South Korea, where he is researching his second novel. This is my 56th book for the New Authors Reading Challenge 2012. 1. My Dear I Wanted to Tell You by Louisa Young for a TLC Book Tour in July. The lives of two very different couples—an officer and his aristocratic wife, and a young soldier and his childhood sweetheart—are irrevocably intertwined and forever changed in this stunning World War I epic of love and war. At eighteen years old, working-class Riley Purefoy and “posh” Nadine Waveney have promised each other the future, but when war erupts across Europe, everything they hold to be true is thrown into question. Dispatched to the trenches, Riley forges a bond of friendship with his charismatic commanding officer, Peter Locke, as they fight for their survival. Yet it is Locke’s wife, Julia, who must cope with her husband’s transformation into a distant shadow of the man she once knew. Meanwhile, Nadine and Riley’s bonds are tested as well by a terrible injury and the imperfect rehabilitation that follows it, as both couples struggle to weather the storm of war that rages about them. Moving among Ypres, London, and Paris, this emotionally rich and evocative novel is both a powerful exploration of the lasting effects of war on those who fight—and those who don’t—and a poignant testament to the enduring power of love. 2. I Am Forbidden by Anouk Markovits, which I won from Diary of an Eccentric. Opening in 1939 Transylvania, five-year-old Josef witnesses the murder of his family by the Romanian Iron Guard and is rescued by a Christian maid to be raised as her own son. Five years later, Josef rescues a young girl, Mila, after her parents are killed while running to meet the Rebbe they hoped would save them. Josef helps Mila reach Zalman Stern, a leader in the Satmar community, in whose home Mila is raised as a sister to Zalman’s daughter, Atara. With the rise of communism in central Europe, the family moves to Paris, to the Marais, where Zalman tries to raise his children apart from the city in which they live. Mila’s faith intensifies, while her beloved sister Atara discovers a world of books and learning that she cannot ignore. A beautifully crafted, emotionally gripping story of what happens when unwavering love, unyielding law, and centuries of tradition collide, I Am Forbidden announces the arrival of an extraordinarily gifted new voice and opens a startling window on a world closed to most of us. 3. Treacherous Beauty by Mark Jacob and Stephen Case for review in Aug/Sept. Histories of the Revolutionary War have long honored heroines such as Betsy Ross, Abigail Adams, and Molly Pitcher. Now, more than two centuries later, comes the first biography of one of the war’s most remarkable women, a beautiful Philadelphia society girl named Peggy Shippen. While war was raging between England and its rebellious colonists, Peggy befriended a suave British officer and then married a crippled revolutionary general twice her age. She brought the two men together in a treasonous plot that nearly turned George Washington into a prisoner and changed the course of the war. Peggy Shippen was Mrs. Benedict Arnold. After the conspiracy was exposed, Peggy managed to convince powerful men like Washington and Alexander Hamilton of her innocence. The Founding Fathers were handicapped by the common view that women lacked the sophistication for politics or warfare, much less treason. And Peggy took full advantage. 4. As Always, Jack by Emma Sweeney for a TLC Book Tour in July. A touching, true love story that captures the spirit of a generation and a love that endures, as a daughter learns about her lost father through the love letters he wrote her mother while at war. 5. 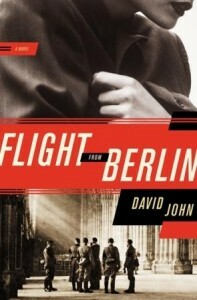 Flight From Berlin by David John for a TLC Book Tour in July. August 1936: The eyes of the world are on Berlin, where Adolf Hitler is using the Olympic Games to showcase his powerful new regime. 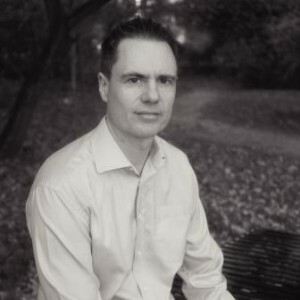 Cynical British journalist Richard Denham knows that the carefully staged spectacle masks the Nazis’ ruthless brutality, and he’s determined to report the truth. Sparks fly when the seasoned newspaperman meets the beautiful and rebellious American socialite Eleanor Emerson. A superb athlete whose brash behavior got her expelled from the U.S. Olympic swim team, Eleanor is now covering the games as a celebrity columnist for newspapers in the States. While Berlin welcomes the world, the Nazi capital becomes a terrifying place for Richard and Eleanor. Their chance encounter at a reception thrown by propaganda minister Joseph Goebbels leads them into the center of a treacherous game involving the Gestapo and the British Secret Intelligence Service. At stake: a mysterious dossier that threatens to destroy the leadership of the Third Reich. 6. Across the Mekong River by Elaine Russell for a book tour in August. 7. Married at Fourteen by Lucille Lang Day for review in October. First, Happy Mother’s Day to all of you mothers and soon-to-be mothers. Take a day to relax and do something nice for yourself. Mailbox Mondays (click the icon to check out the new blog) has gone on tour since Marcia at A Girl and Her Books, formerly The Printed Page passed the torch. This month’s host is Martha’s Bookshelf. Both of these memes allow bloggers to share what books they receive in the mail or through other means over the past week. 1. The Sadness of the Samurai by Victor Del Arbol for review from Henry Holt Co. June/July. Fierce, edgy, brisk, and enthralling, this brilliant novel by Victor del Árbol pushes the boundaries of the traditional historical novel and in doing so creates a work of incredible power that resonates long after the last page has been turned. When Isabel, a Spanish aristocrat living in the pro-Nazi Spain of 1941, becomes involved in a plot to kill her Fascist husband, she finds herself betrayed by her mysterious lover. The effects of her betrayal play out in a violent struggle for power in both family and government over three generations, intertwining her story with that of a young lawyer named Maria forty years later. During the attempted Fascist coup of 1981, Maria is accused of plotting the prison escape of a man she successfully prosecuted for murder. As Maria’s and Isabel’s narratives unfold they encircle each other, creating a page-turning literary thriller firmly rooted in history. 2. Heading Out to Wonderland by Robert Goolrick, unrequested from Algonquin. It is the summer of 1948 when a handsome, charismatic stranger, Charlie Beale, recently back from the war in Europe, shows up in the town of Brownsburg, a sleepy village of a few hundred people, nestled in the Valley of Virginia. All he has with him are two suitcases: one contains his few possessions, including a fine set of butcher knives; the other is full of money. A lot of money. Finding work at the local butcher shop, Charlie befriends the owner and his family, including the owner’s son, Sam, who he is soon treating as though he were his own flesh and blood. And it is through the shop that Charlie gradually meets all the townsfolk, including Boaty Glass, Brownsburg’s wealthiest citizen, and most significantly, Boaty’s beautiful teenage bride, Sylvan. This last encounter sets in motion the events that give Goolrick’s powerful tale the stark, emotional impact that thrilled fans of his previous novel, A Reliable Wife. Charlie’s attraction to Sylvan Glass turns first to lust and then to a need to possess her, a need so basic it becomes an all-consuming passion that threatens to destroy everything and everyone in its path. Told through the eyes of Sam, now an old man looking back on the events that changed his world forever, Heading Out to Wonderful is a suspenseful masterpiece, a haunting, heart-stopping novel of obsession and love gone terribly wrong in a place where once upon a time such things could happen. 3. The Voice I Just Heard by Susan Dormady Eisenberg, which the author sent for review. Check out my D.C. Literature Examiner Interview with her. What’s the price of chasing a dream? Nora Costello is a gifted soprano who longs to sing on Broadway despite her family’s disapproval and her daily battle with self- doubt. When her beloved older brother dies in Vietnam, she spirals into despair, wondering how she’ll embrace her performing goals without the support of her sole cheerleader. But before she hits rock bottom, Nora meets her soulmate, Bart Wheeler, a washed-up Broadway baritone with problems of his own—and a trove of great advice about singing. Nora also reunites with her oldest friend Liz, a troubled nun who knows more about Liam’s motives than she should. Both a coming-of-age-story and a tale of enduring love, THE VOICE I JUST HEARD offers characters to root for as Nora, Bart, and Liz struggle to resolve their dilemmas. In the end, it’s a book about the most important voice of all: the whisper of our hearts guiding our way. 4. Flight from Berlin by David John, which Harper Collins sent for review. A cynical English reporter and a beautiful, headstrong, American Olympic hopeful are caught in a lethal game of international espionage during the 1936 Berlin Olympics in Flight from Berlin, a riveting debut thriller from breakout novelist David John. Combining the suspense and atmosphere of Alan Furst’s spy novels with the exciting narrative drive of Daniel Silva’s Gabriel Allon adventures, John delivers an unforgettable masterwork of thrilling suspense set against the backdrop of one of the most monumental summers in history—a contest of champions, including the remarkable Jessie Owen, that captivated the world as the specter of Nazi Germany continued its rise to threaten the globe. 5. The Book Club Cook Book by Judy Gelman and Vicki Levy Krupp, which I purchased at Novel Places. Whether it’s Roman Punch for The Age of Innocence, or Sabzi Challow (spinach and rice) with Lamb for The Kite Runner, or Swedish Meatballs and Glögg for The Girl with the Dragon Tattoo, nothing spices up a book club meeting like great eats. Featuring recipes and discussion ideas from bestselling authors and book clubs across the country, this fully revised and updated edition of the classic book guides readers in selecting and preparing culinary masterpieces that blend perfectly with the literary masterpieces their club is reading. 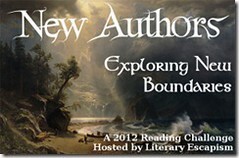 This edition features new contributions from a host of today’s bestselling authors. 6. Overbite by Meg Cabot, which I purchased at Novel Places. Meena Harper has bitten off more than she can chew . . .
Meena has a special gift, but only now does anyone appreciate it. Her ability to predict how everyone she meets will die has impressed the Palatine Guard—a powerful secret demon-hunting unit of the Vatican—and they’ve hired her to work at their new branch in Lower Manhattan. Sure, Meena’s ex-boyfriend was Lucien Antonescu, son of Dracula. But that was before he (and their relationship) went up in flames, and now she’s sworn off vampires for good—even though she firmly believes that just because they’ve lost their souls, it doesn’t mean they can’t love. Convincing her new partner, Über-demon-hunter Alaric Wulf, that vampires can be redeemed won’t be easy . . . especially when a deadly new threat arises, endangering not only the Palatine, but Meena’s friends and family as well. As she unravels the truth, Meena will find her loyalties tested, her true feelings laid bare . . . and temptations she never even imagined before nearly impossible to resist. 7. Stolen Air by Osip Mandelstam, translated by Christian Wiman, which I bought from Novel Places after seeing a Washington Post review of it. Political nonconformist Osip Mandelstam’s opposition to Stalin’s totalitarian government made him a target of the communist state. The public recitation of his 1933 poem known in English as “The Stalin Epigram” led to his arrest, exile, and eventual imprisonment in a Siberian transit camp, where he died, presumably in 1938. Mandelstam’s work—much of it written under extreme duress—is an extraordinary testament to the enduring power of art in the face of oppression and terror. Stolen Air spans Mandelstam’s entire poetic career, from his early highly formal poems in which he reacted against Russian Symbolism to the poems of anguish and defiant abundance written in exile, when Mandelstam became a truly great poet. Aside from the famous early poems, which have a sharp new vitality in Wiman’s versions, Stolen Air includes large selections from The Moscow Notebooks and The Voronezh Notebooks. Going beyond previous translators who did not try to reproduce Mandelstam’s music, Christian Wiman has captured in English—for the first time—something of Mandelstam’s enticing, turbulent, and utterly heartbreaking sounds. 8. Love Is Murder edited by Sandra Brown, which I received from Meryl Moss Media Relations even though I am unable to participate in the tour. Prepare for heart-racing suspense in this original collection by thirty of the hottest bestselling authors and new voices writing romance suspense today. Go on vacation with Allison Brennan’s Lucy Kincaid, where she saves a man from drowning, only to discover he is in far greater danger on land. Meet Roxanne St. Claire’s “bullet catcher”—bodyguard Donovan Rush—who may have met his match in the sexually charged “Diamond Drop.” Debut author William Simon shows us what happens when the granddaughter of the president of the United States is kidnapped. And Lee Child’s pitch-perfect “I Heard a Romantic Story” puts a whole new spin on Love Is Murder. Bodyguards, vigilantes, stalkers, serial killers, women (and men!) in jeopardy, cops, thieves, P.I.s, killers—these all-new stories will keep you thrilled and chilled late into the night. 9. Shadows Walking by Douglas R. Skopp, which I received for review from the author. Johann Brenner, an idealistic physician and ardent German nationalist, has joined the Nazi Party and willingly participated in its “crimes against humanity.” His Jewish childhood friend, Philipp Stein, has also become a doctor. Their lives inevitably intersect until their last, fateful meeting. After the war, Brenner, with stolen papers and a new name, has become a janitor in the courthouse where the Nuremberg Trials are being held. Hoping to “heal himself” and begin a new life with his estranged wife, he decides that he must write her a letter telling what he has done–and why.